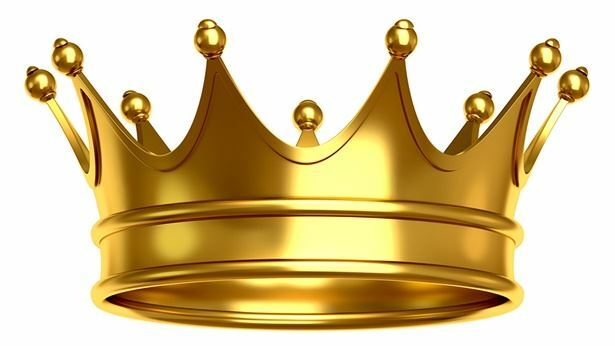 In the past few years, we have pursued what our pastors and elders told us to, and believed that by laboring, working, suffering, and expending ourselves for the Lord, we will gain crowns of glory and blessings from the Lord. As we accumulate ever greater merits through work, we think that we are qualified to enter the kingdom of heaven, and so every one of us vigorously expends ourselves for the Lord, to the point that we feel any degree of suffering is worth it. But have we ever reflected on whether thinking of things in this manner is in accord with the Lord’s will, and whether it has a basis in the Lord’s word? Does the Lord Jesus praise pursuit in this manner? In the Bible, the Lord gives the parable of the master and the servant: “But which of you, having a servant plowing or feeding cattle, will say to him by and by, when he is come from the field, Go and sit down to meat? And will not rather say to him, Make ready with which I may sup, and gird yourself, and serve me, till I have eaten and drunken; and afterward you shall eat and drink? Does he thank that servant because he did the things that were commanded him? I trow not. So likewise you, when you shall have done all those things which are commanded you, say, We are unprofitable servants: we have done that which was our duty to do” (Luke 17:7–10). The Lord Jesus told us this parable to say that the servant serves the master, and whatever he does for the master is what he is supposed to do and it is his duty. The servant is unqualified to ask for anything in return from the master, and should not capitalize on the doing of his duty to seek more rewards from his master. The Lord Jesus used this metaphor to enable us to know the identity and status of the Creator, as well as the position we should take and the sense of reason we should have as created beings before the Creator. We are created beings, the breath of life was given to us by God, and all the things we enjoy every day come from God. Therefore, it is an incontrovertible law of heaven that we believe in God, worship God, and work and expend ourselves for God. We should not make any demands of God, nor should we ask to be rewarded. Instead, we should recognize our identity and status as the servant in the parable and do our duty. Yet we always think that, because we sacrifice and expend ourselves for the Lord, the Lord should reward us and bring us into the kingdom of heaven. Isn’t this asking the Lord for a crown and making deals with God? What problem do such expressions demonstrate? God’s words say, “In people’s life experiences, they often think to themselves, I’ve given up my family and career for God, and what has He given me? I must add it up, and confirm it—have I received any blessings recently? I’ve given a lot during this time, I’ve run and run, and have suffered much—has God given me any promises in return? Has He remembered my good deeds? What will my end be? Can I receive God’s blessings? … Every person constantly, and often makes such calculations within their heart, and they make demands of God which bear their motivations, and ambitions, and deals. Which is to say, in his heart man is constantly putting God to test, constantly devising plans about God, and constantly arguing the case for his end with God, and trying to extract a statement from God, seeing whether or not God can give him what he wants. At the same time as pursuing God, man doesn’t treat God like God. He has always tried to make deals with God, ceaselessly making demands of Him, and even pressing Him at every step, trying to take a mile after being given an inch. At the same time as trying to make deals with God, man also argues with Him, and there are even people who, when trials befall them or they find themselves in certain situations, often become weak, passive and slack in their work, and full of complaints about God. From when he first began to believe in God, man has considered God to be a cornucopia, a Swiss Army knife, and he has considered himself to be God’s greatest creditor, as if trying to get blessings and promises from God were his inherent right and obligation, while God’s responsibility were to protect and care for man and provide for him. Such is the basic understanding of ‘belief in God’ of all those who believe in God, and their deepest understanding of the concept of belief in God” (“God’s Work, God’s Disposition, and God Himself II”). “God is forever supreme and ever honorable, while man is forever base, forever worthless. This is because God is forever making sacrifices and devoting Himself to mankind; man, however, forever takes and strives only for himself. God is forever taking pains for mankind’s survival, yet man never contributes anything for the sake of the light or for righteousness. Even if man makes an effort for a time, it is so weak that it cannot withstand a single blow, for the effort of man is always for his own sake and not for others. Man is always selfish, while God is forever selfless” (“It Is Very Important to Understand God’s Disposition”). We believe in God and follow God, yet we never consider how to believe in accordance with God’s will, nor do we ever reflect on whether our views on belief in God are correct. Instead, we just continually rush about and expend ourselves for God in an attempt to receive rewards and a good destination in exchange. When we see that we believe in God to gain blessings and that we make deals with God, we realize how selfish and despicable we are! Consider that God is the Lord of creation, the supreme Ruler, while we are just motes of dust on the earth. God granted us the breath of life, and it is God who has selflessly supplied and nourished our survival to the present day. All that we do for God is what we are supposed to do, and however God treats us is proper. Even if we expend ourselves and work for God and God does not reward us or provide a good destination then, as created beings, we should abide by our own position and obey God’s orchestrations, and not make any demands or seek to gain anything from God, nor should we make any complaints against God. This is the conscience and reason we should have as created beings, and it is the proper place that we should keep to. Just as when a parent is ill and the children take care of them, or when the parents are old and the children care for them in their last days, these things are proper and expected, and should not be done only to obtain the parents’ property. Yet despite this, after we forsake everything and we labor, work, expend ourselves, pay a price, and bear hardship for the Lord, we feel that we have worked hard and performed a valuable service, and that we have earned our qualification to ask God for rewards, even to seek to be crowned with glory and rule alongside the Lord. Aren’t these extravagant desires and unreasonable demands simply a manifestation of our arrogance, conceitedness, selfishness, meanness, and lack of conscience and reason? 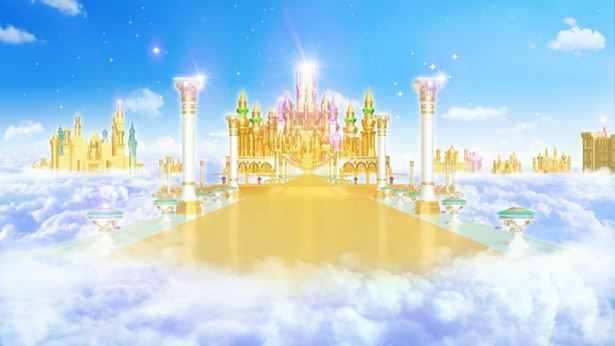 It is because we do not regard ourselves as created beings, do not see ourselves as motes of dust nor do we keep to our proper place, much less treat God as the Lord of creation, that we dare to argue with God, flaunt our qualifications, and ask for crowns from God. In the Bible it is recorded that Salome, the mother of John and Jacob, believed that she and her two sons all followed the Lord Jesus, forsook everything for the Lord, and had borne suffering, so she demanded of the Lord Jesus, “Grant that these my two sons may sit, the one on your right hand, and the other on the left, in your kingdom” (Matthew 20:21). But the Lord Jesus did not grant Salome’s desire, and told her, “You know not what you ask. 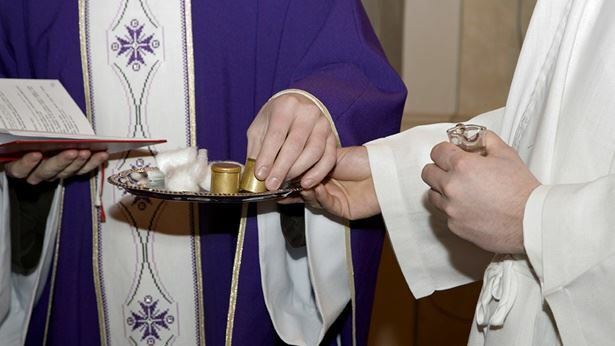 … You shall drink indeed of my cup, and be baptized with the baptism that I am baptized with: but to sit on my right hand, and on my left, is not my to give, but it shall be given to them for whom it is prepared of my Father” (Matthew 20:22–23). The Lord Jesus clearly told Salome that it is only proper that people work, suffer, forsake things and expend themselves for God, that these are the duties and responsibilities mankind should perform. But whether people finally gain God’s rewards and blessings is up to God, it is God’s decision, and as people we should not step out of our proper place to make demands of God or attempt to use our sacrifices and expending as capital to demand conditions of God, because to do so is an expression of arrogance, conceitedness, and irrationality. The Canaanite woman who is recorded in the Bible was the opposite of Salome. When she asked the Lord to heal her daughter, the Lord Jesus did not answer her, but told her, “It is not meet to take the children’s bread, and to cast it to dogs” (Matthew 15:26). Misconceptions did not arise in the Canaanite woman because the Lord Jesus had called her a dog, but instead she determined in her heart that no matter how the Lord Jesus treated her, the Lord Jesus was God and Christ. She was able to keep to her proper place and, with reverence in her heart for the Lord Jesus, she said, “Truth, Lord: yet the dogs eat of the crumbs which fall from their masters’ table” (Matthew 15:27). The Lord Jesus saw the Canaanite woman’s faith, and even more so saw that she was an especially well-reasoned person, and He said, “O woman, great is your faith: be it to you even as you will” (Matthew 15:28). Also there was Peter, disciple of the Lord Jesus who, when the Lord Jesus called him, forsook everything to follow the Lord. During the time he followed the Lord, he focused on contemplating the Lord’s will and requirements within His words, and he practiced according to the Lord’s teachings. After the Lord Jesus resurrected and ascended up to heaven, Peter accepted the Lord’s commission to preach and work everywhere, and he shepherded the church and supported his brothers and sisters. During this period, Peter was arrested and persecuted by the ruling powers. He suffered much under the cruel torture and persecution of the Jewish leaders, yet he never made any unreasonable demands of the Lord and did not ask the Lord to give him crowns of glory or great blessings. It was his duty as a created being to seek to love the Lord, satisfy the Lord, and give his all for the Lord. In the end, Peter was willing to be crucified upside down for the Lord, he bore testimony of obedience unto death and of the utmost love for God, and he was perfected by God. From this, we can see that God praises and perfects those people with God-fearing hearts, who can take their proper place as a created being to follow and worship God, and who love and satisfy God. We can also see that God loathes those who make unreasonable demands of Him out of their arrogant disposition, and those who seek rewards and blessings from God after forsaking a few things and expending themselves just a little. Therefore, no matter how long we believe in God and follow God, regardless of age, regardless of how much we work and expend ourselves for the Lord, regardless of how much we suffer or sacrifice, we should be clear on the fact that God is eternally our Lord, we are His eternal servants, we are created beings, and we should keep to our proper place and not make unreasonable demands of God. If we can emulate Peter and seek to love and satisfy God all our lives, take our proper place as created beings and expend ourselves wholeheartedly for God, and seek no gain and speak of no conditions or rewards from God, then we will receive God’s blessings and praise, and we will become people who delight God. Next：Daily Bible Reading: What Warning Does the Lord Jesus Not Keeping the Sabbath Day Hold for Us?